Molly and I cleaned the house today, getting ready for Derek, Sarah, and Lilly to come tomorrow. The weather was beautiful so we opened up the house and planted some spring flowers in the front pots. 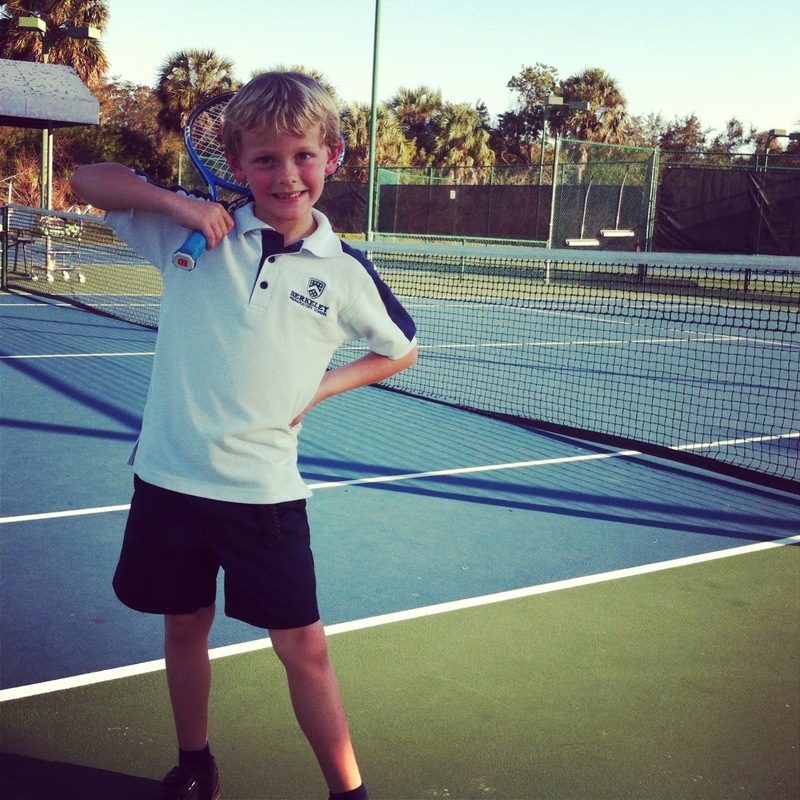 Both boys went to school today and here is a picture of Davy looking like the All Tennis Pro that he is!